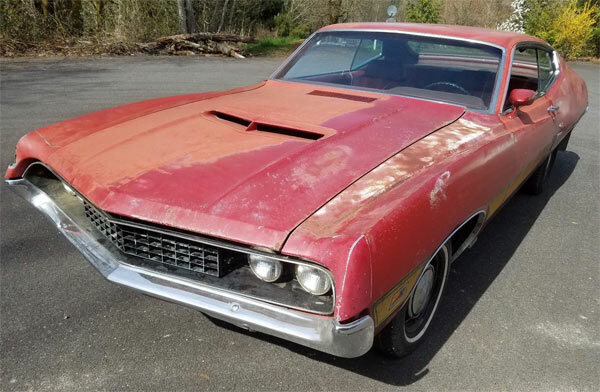 The refreshing thing about this listing is that it seems to be as honest as possible about the vehicle and a nice description of where its at and where its come from. the car was originally built in October 1969 and sold June 1970. 1 of 544 with the paint and trim codes. 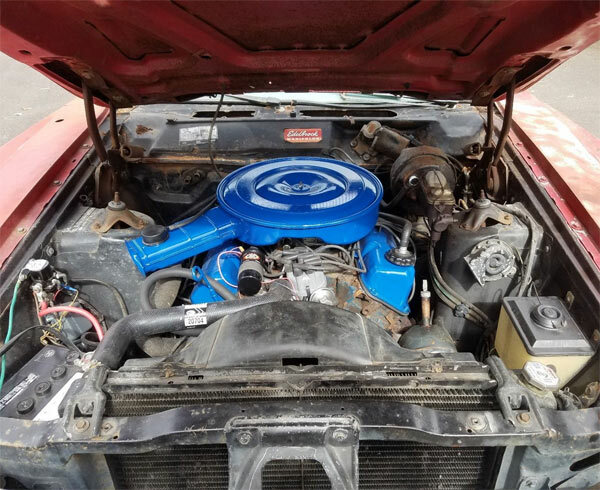 The current owner has started work on the car adding the 351 cleveland 2V from a 71 Ranchero with 1971 heads and intake. 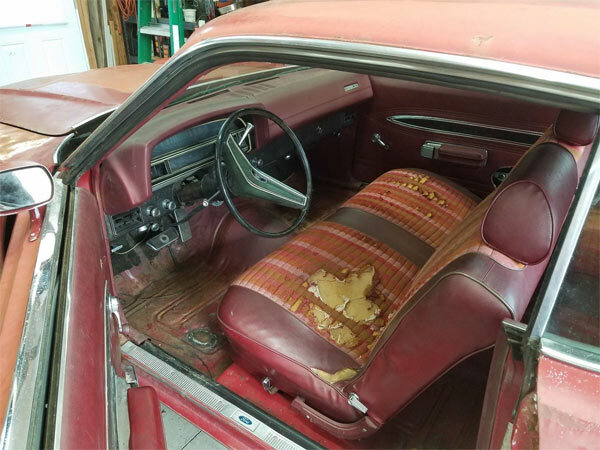 The cowl is apparently in good condition, the trunk lid replaced and rust around this area in the drip rails, trunk panels below the lights, driver trunk drop down panel and the passenger toe board. It does come with a complete interior, but the radio and seat belts are missing. The Blazer Striped cloth has worn away on the seats. The paintwork has clearly faded, but the car is solid enough with a reasonable engine to bring back to a regular driver.